A test automation tool for everyone on your team: Technical testers, non-developers, and management alike. Test automation of any web and desktop applications with one tool for functional testing. 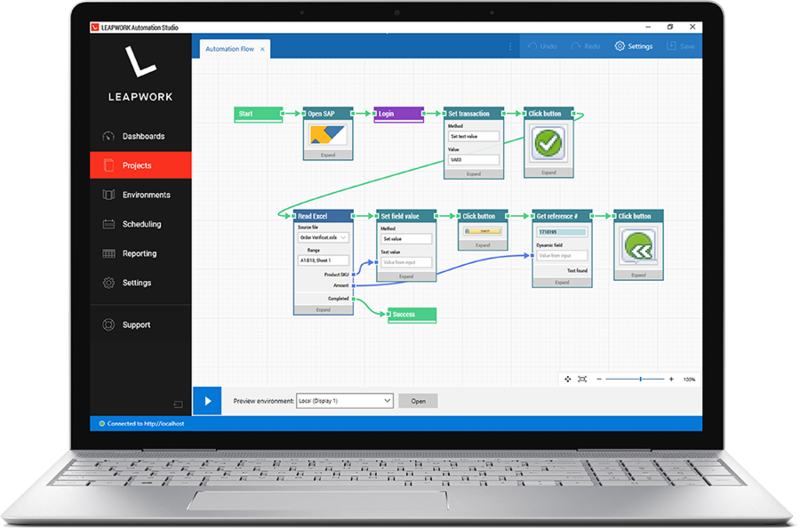 Build test automation flows from day one powered by LEAPWORK's visual flowchart engine. Let automation agents run regression tests to implement agile testing in your pipeline. LEAPWORK is a test automation tool that enables anyone to design and execute automated test cases as visual flowcharts. The result is test automation that is robust and reliable. Automate any application thanks to native support of desktop technologies combined with Selenium-based web automation. 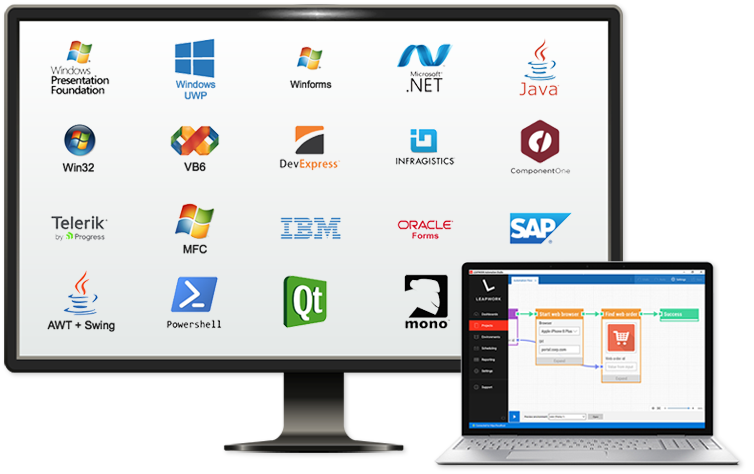 Automate desktop applications of the most widely used frameworks, platforms, and third-party controls with LEAPWORK's native identification of objects and elements. Integrate with pipeline orchestrators as well as build and release systems using our public REST API. LEAPWORK comes with native plugins for Jenkins, TFS, TeamCity, and Bamboo and can also be integrated with bug management systems. Set up triggers for scripts, web services, and more. 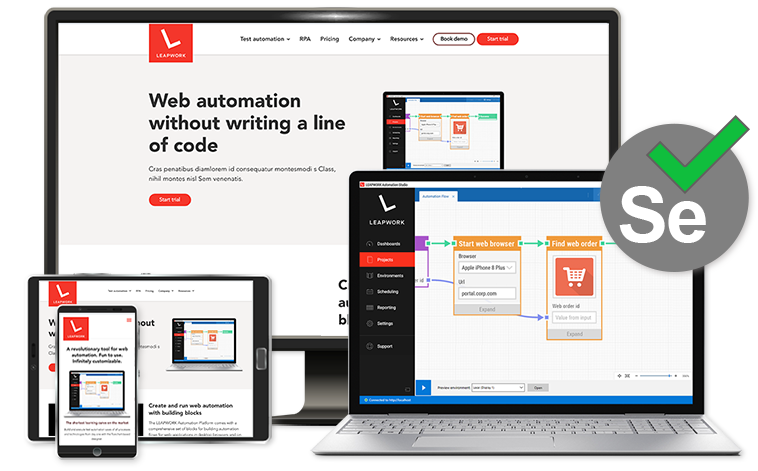 Drag and drop powerful automation blocks, each representing user actions performed in web and desktop applications.